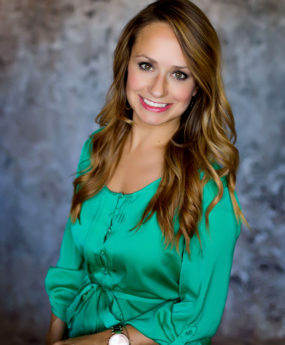 Born and raised in Cape Girardeau, Casie Mills has quickly earned a reputation as a kind, trustworthy, and relatable real estate professional with an impeccable eye for quality. With Casie’s deep roots and lasting relationships within the community, she strives to make each transaction as effortless and enjoyable for her clients as possible! Casie attended Murray State University, where she obtained her Bachelor of Science in Nursing. After graduating, Casie moved home and worked as a nurse for ten years. It was in these years that Casie was able to pursue her passion for caring for others. However, every Sunday, Casie found herself attending open houses and eventually decided to make a career shift. Casie always jokingly said that in her next life she was going to a real estate agent. Her lifelong passion for interior design and helping others fueled her desire to pursue a career in real estate. Grateful to pursue her passion for a living, Casie is highly motivated, determined and hands on with each sale from beginning to end. For Casie, there are few things more rewarding than the opportunity to help a buyer find “the one” and sell incredible properties in the community she has always been proud to call home. When she’s not serving her clients in real estate, Casie enjoys spending time with her husband and two daughters, attending theater and concerts, cooking, and traveling. She enjoys being involved in music ministry at St. Vincent De Paul church.